If you are a caregiver of a family member, you know how it can eat up so much of your resources – time, money, and patience. A study by Allianz Life Insurance Co. of North America found the impact to you is increased by more than half. The 2016 Safeguarding Our Seniors study found that the cost of being scammed is felt by the caregiver as well as the victimized senior. Of the 1,000 current and soon-to-be caregivers surveyed, nearly 90% said they were impacted when their senior was the victim of financial abuse. The average cost of that impact is $36,000, up 20% in two years. Forty (40)% reported their senior had been a victim of financial abuse more than once (up 20% from 2014). Respondents whose senior had been a victim were spending 56% more than those who were caring for a loved one who had never been financially abused – $8,400 year on average. Almost 80% of caregivers responsible for an elder abuse victim voiced concern about both their current finances and their retirement savings. Caregivers whose loved one shows signs of dementia or mental decline (45%) reported greater incidents of financial abuse (34% vs 24% with no mental decline). These seniors also experienced a larger monetary loss – $9,000 more. Half of the caregivers stated their loved one became more isolated, with a 15% increase for seniors with mental decline. Beyond the financial impact, caregivers report emotional and mental impact on their loved ones as well. 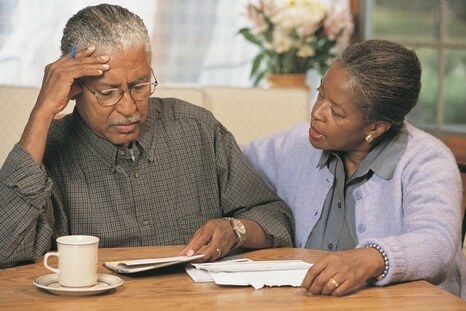 Their senior experienced anger, depression, anxiety, and guilt, all in response to being victimized by the scammers. The full review of the Allianz study and its findings are available at: www.allianzlife.com/sos.